HIT, has been brought up with a view to develop all round personality of the students. To fulfil this aim, equal stress is laid on co-curricular activities. At HIT we think best professionals are not born, they are made. We give students a platform where they hone their different skills by organising and managing various events. Cultural programmes provide an element of fun besides adding to the managerial capabilities of an individual. Cultural programmes are organized and run by the students themselves. 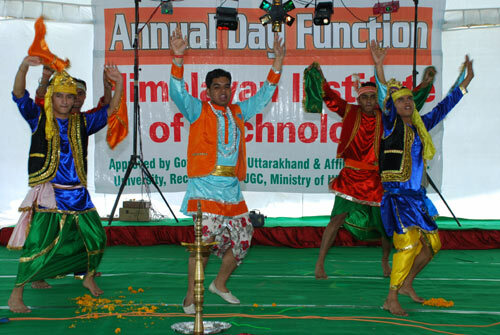 The Institute takes pride in celebrating various festivals like Diwali, Holi, Christmas, Eid etc. to inculcate in the students the sense of unity and respect for different religions and to preserve the tradition and culture of our nation. Quizzes are held from time to time, which serve two fold purposes viz. information and motivation as well. It is a sourse of competitive learning also. The Talent Search Programme,organized by the students, runs for a week .Besides this, there are various student clubs which organize events in their respective areas. The institute organises sports events to keep the environment at the college fun-filled and enthusiastic. 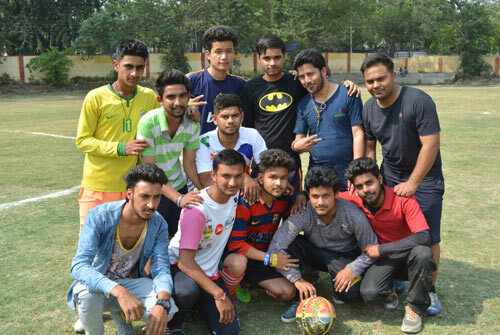 The intra-college events include events held to bring together students in a spirit of sportsmanship over matches held between juniors and seniors, students and teachers, current students and Alumni. Institute publishes an in-house magazine. This is a quarterly magazine where students' talent in writing articles, stories, poems, quiz, jokes, puzzles etc. are given importance. To take the students away from the pressure of studies, the institute arranges picnic and outstation camps. Every year these out station camps are arranged for students. It gives the students a break from their study to have fun. These camps help in building unity among the students and also give a sense of responsibility to the students, since they manage and arrange these camps on their own under the guidance of respective faculty members.